Decades or centuries ago, when many of the historical records on FamilySearch.org were originally created, the clerks and record keepers weren’t perfect. The volunteer indexers who transcribe records for FamilySearch.org aren’t infallible, either. That means spelling errors will almost certainly appear in your ancestors’ records. For example, I’ve seen my ancestor Blasius Schwer’s first name appear in records as Bliss, Bloes, and Blassius. To account for spelling errors or other variations of names, you can use wildcards. Wildcards are special characters you enter in a search box in place of certain letters. 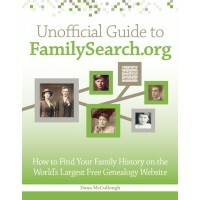 On FamilySearch.org, you can use a question mark (?) to represent one missing letter. An asterisk (*) can replace zero or more characters. You can use both wildcards in the same search if desired. You must have at least one letter in the search box, and you can place the wildcard at the beginning, middle, or end of a search field. For example, if I want to account for all of the different first name spellings I’ve seen for Blasius, I might enter his name as Bl*s Schwer. This pulls up results for people with the last name Schwer who have the first name spellings I’ve seen, plus several more, including Blazius and Blausis. Apparently he had a difficult name to spell! Even if your ancestors had easy-to-spell names, expect spelling discrepancies. For example, if your ancestor’s last name was Henderson, it could appear in records as Hendersen. To account for this difference, you could enter Henders?n in the Last Names search box. Many search engines, including Google, support Boolean search techniques to help you focus searches, such as enclosing terms in quotation marks or using the word and between terms. Unfortunately, FamilySearch.org does not support Boolean techniques, so don’t worry about using quotation marks or operators (and, or) in your FamilySearch.org searches. ‹ Uploading Content to FamilySearch.org: What Happens to It?